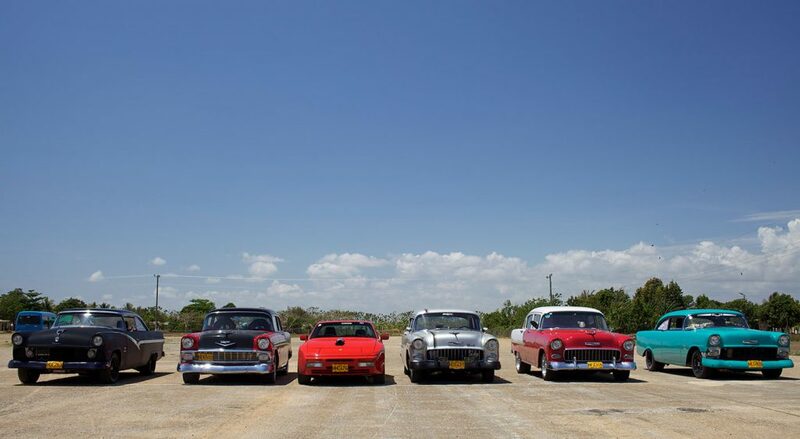 Cuba has been the ultimate time warp for every classic car enthusiast outside of its borders. The country is known for many things and among them are the roads flush with beautifully maintained mid-century automobiles pre-date the embargo from the nation in 1962. These unique cars and the relationship owners have with them are a big part of the Cuban experience. Since the embargo, parts have come to their shores intermittently and inconsistently so often when something is really needed, the only solution is to actually build it or alter it. Cubans don’t have the luxury of 3-D printers or CNC machines nor dyno machines to find the horsepower. And at times drivers are so proud of their craft that they show of their work in illegal straight-line races on civilian streets. 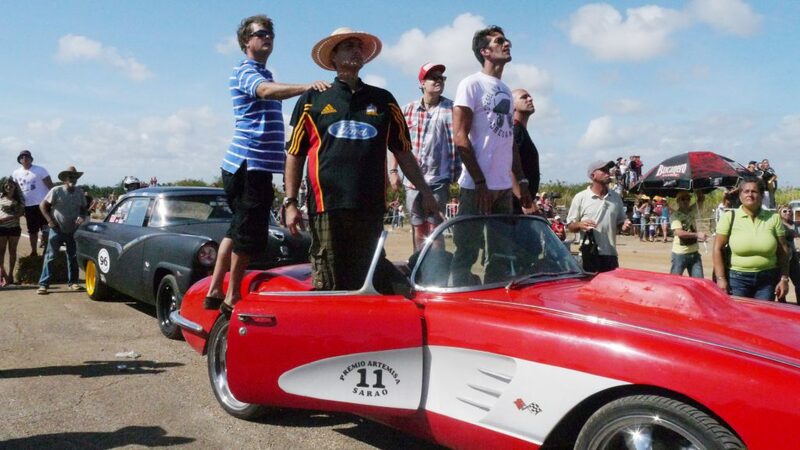 That scene and culture is the subject of the Kickstarter-funded documentary Havana Motor Club. Let’s get this out of the way: if you love cars, you NEED to see this documentary. It’s portrays such a unique vision of automotive culture that is both foreign and familiar to any gearhead. The film follows several drivers with their own take to their machines. One such driver is Carlos, who drives a Porsche 944 (calling it “El Por-CHA”). The car is technically still owned by his friend Saul, a dual citizen from Miami who brings parts over from the US. With the county’s extremely narrow parts availability, you can imagine just how much an advantage that is. However, here’s the cool part: the car is registered as a Mitsubishi, and the engine is a Chevrolet V-8, that’s what makes it a Cuban hot rod. Another driver, Rey, from a family of mechanics, drives a 1955 Chevrolet that’s also an amalgamation of found parts. Piti drives a 1956 Ford he calls Bucephalus, named after Alexander the Great’s horse. Finally we follow Jote, who outfitted his 1951 Ford, the “Black Widow,” with a boat motor, recovered from the ocean floor in order to attempt to smuggle Cubans to Miami. In the film we learn that for a time, auto racing has been a part of Cuba, but a notorious crash during the 1958 Grand Prix that killed seven people hurt the sport’s reputation in the nation from then on. After the Cuban Revolution a year later, the Castro government declared auto racing as elitist and capitalist. Fidel’s forces actually kidnapping star driver Juan Manuel Fangio didn’t help, either (the racers In the film are organizing an event in his honor). Over the next few decades we see in the movie that motorsports have been reduced to an illegal underground subculture, with drivers risking their cars and facing criminal penalties just for partaking in the pleasures of speeding in a straight line on public roads with their rides. They don’t drift or do laps, they only rocket form from a standstill to the finish line, an approach reminiscent of the American muscle car era. And for that brief time and distance, the thrill the drivers we follow claim to feel is one all too familiar to American racers or drivers the world over. Havana Motor Club is ultimately the story of how would-be racers push to return legitimacy to their beloved sport. Something I think racing fans the world over can all relate to. Throughout the film we get an inside look at the improvised garages, drivers and mechanics getting their hands covered in oil, welding, all of that is there. Director Bent-Jorgen Perlmutt’s filmmaking is very up close and personal, sparing none of the nuts and bolts as to what goes down with these cars, drivers and the places they inhabit. The whole movie is about the build up to an attempt to have the first sanctioned race in decades, and the filmmaker eschews history and details that car enthusiast may be in for in favor of a showcase of the racers’ “attitudes.” In other words by the 2nd half of the movie it becomes a “talking heads” doc where we see drivers speaking about races in the past tense instead of seeing the actual races. A brief chapter shows the head of the underground motoring organization trying to “go legit” but ultimately finding ways to postpone the official race. This was ultimately the most frustrating part of the film. It does however play into the film’s theme of the desperation that comes with this passion where the resources to follow it are scarce, but still it would have been much more fulfilling to explore the actual racing culture through footage of the events and the like as opposed to defaulting to talking heads interviews. Everything comes to a head when we get closer to the present, long after the Cuban embargo has been lifted and Peugeot comes to Cuba to show off some expensive new cars. The disappointment Rey feels is summed up when he tells us “Modern cars all look the same.” And ultimately that’s part of why Perlmutt’s documentary is essential viewing for auto enthusiasts. For Cuba is a very special place for automobiles and what makes these relics from the 1950s and 60s more than just museum pieces or just reminders of Cuba’s tumultuous political history. Perlmutt’s direction really gives viewers a peak into a specific aesthetic sensibility not just in the cars he does show us but in this documentary style that really transports us to a world that has no place for interchangeable hatchbacks and computer-designed hypercars. Did he makes this documentary because this subculture is in danger of fading from existence as Cuba opens its doors? See for yourself. 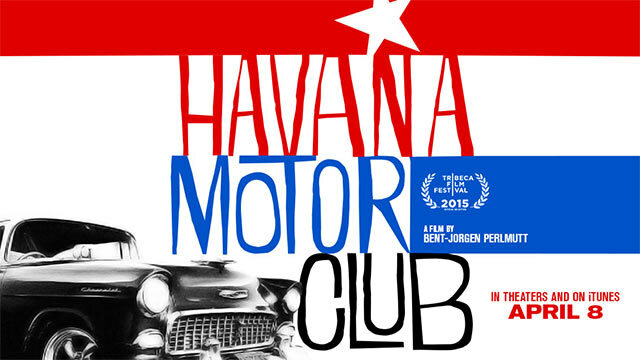 Havana Motor Club is available for streaming and download on all VOD platforms like iTunes, Netflix and Amazon. We highly recommend that you check out this movie!